Attention! Read all instructions and look at the pictures before attaching the ProClip. 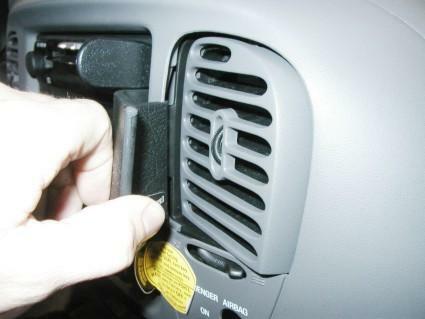 NOTE: To be able to install the ProClip in some models you have to use the enclosed gap opener to widen the gap between the stereo and the surrounding panel frame. For other models where the gap is wide enough you don’t need to use the gap opener to widen the gap. Otherwise the same directions apply as shown below. 1. Adjust the air vent. 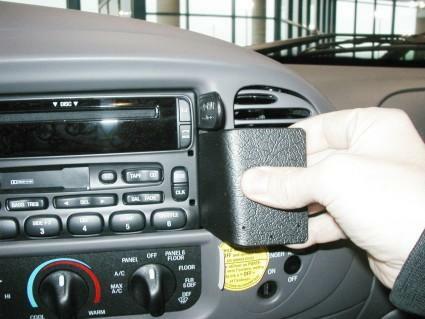 Press the thin end of the enclosed gap opener into the gap between the stereo and the surrounding panel frame to widen the gap. Peel off the cover of the adhesive tape on the ProClip. 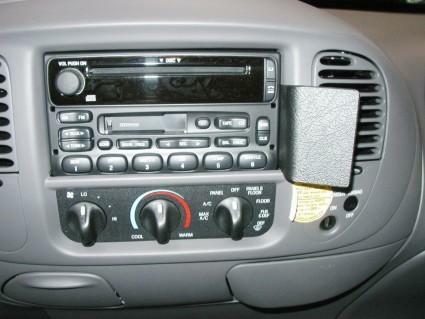 Place the ProClip over the frame between the stereo and the air vent, below the gap opener, so the grooved edge on the left side goes slightly into the gap, and the right side of the ProClip goes into the air vent. 2. Hook the grooved edge on the right side of the ProClip over the air vent panel edge. 3. Press forward on the left side of the ProClip so the grooved edge goes all the way into the gap. Press until you see or hear/feel it snaps into place. 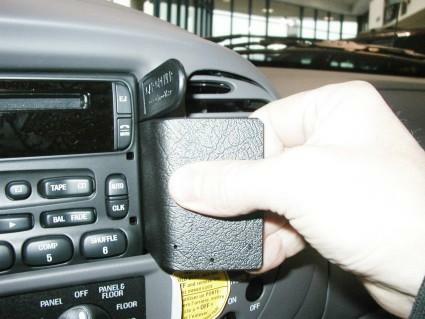 Pull out the gap opener and adjust the air vent.